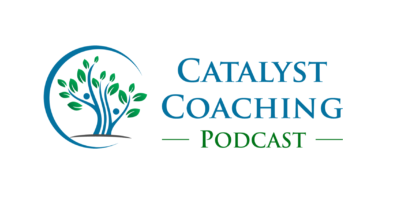 Brad: Welcome back to the Catalyst Health and Wellness Coaching podcast. My name’s Brad Cooper. I’ll be your host, and we’re going to take a little different angle today. Over the initial episodes, we focused on talking with coaches, getting their experience, finding out about the national health and wellness board exam, looking at the idea of evidence based coaching and not falling for the fads and what the research says and how we can apply that to our coaching practice. Today we’re going to take a look at the employee side, we are going to be interviewing a gentleman by the name of Steve Persable. Brad: He’s been in healthcare human resources for 38 years. He knows his stuff. He has an MBA from Wright State University. In addition to all of that, he also spent 21 years serving on the board of education in this community, including the president’s role for nine years from 1999 to 2008. So Steve’s going to give us a perspective from the employer’s side of things and give you a chance as a coach, health and wellness coach, or a future one to get a sense of what does that look like? What’s important to an employer? Where does coaching play a role? So with that, let’s go ahead and jump in. As always, I’ll come back at the end with some summary concepts and practical application. Sit back, enjoy, and let’s dive in with Steve Persable. Brad: Steve, thanks for joining us on the Catalyst Health and wellness coaching podcast. Great perspective. A little different than we’ve had in the first few episodes. We’re going to be talking more about the employer’s perspective this time and how that relates to coaching. So first of all, you’ve overseen a variety of employee wellness programs. What are your general thoughts about the integration of wellness coaching into those different models and when is it most effective? Steve: Well first of all, thanks for asking me to join, Brad. Wellness coaching is a such a key element to the entire wellness picture that I’m glad to have an opportunity to kind of give some feedback as to what worked and what hasn’t worked for us. So in my view, wellness coaching is an integral part of the three legged stool where you have internal infrastructure, wellness coach or in a wellness ambassador kind of mindset within the organization, then you have a support infrastructure system, infrastructure technology, and then you have wellness coaching, and absent the effective wellness coach, that’s the human element of the other two that allows the accountability to begin to settle in and allows people to understand that it is bigger than just creating this program that you have to participate in order to get credit. It’s actually about making a difference, and the wellness coaches are really good at allowing that personal interaction to create some personal accountability and some personal buy into the program as it stands So I can’t imagine an effective wellness program in an employer setting that didn’t include effective coaching. Brad: Now you’ve worked with some, you’ve been doing this a long time. I did your introduction here so they know about your background. You’ve had some employee wellness programs that you’ve bumped up against in the past that don’t include the coaching. Talk a little bit about what your experience was with those. Steve: Well, there are as many wellness programs and wellness vendors out there as there are google searches that you can do and so they’re broad and wide. The ones that we were involved in or I looked into that did not involve coaching became dependent on things. It really didn’t make a difference when it comes to moving the needle on wellness of the employees and they tended to be technology heavy and as more click the box and check the box and check the things that I’ve done and get my blood drawn and as more of a technological accomplishment than it was a true moving the needle on my own personal wellness and so that’s to me the difference. It adds a personal touch. It adds the ability to interact and and have a dynamic experience between the wellness program and the individual employee, which happens through the wellness coach. Brad: When it comes to the executive team, they’re the ones that have to pay for this and coaching is not cheap. It’s the most expensive component to any wellness program really, if you break it into pieces. Any advice for those coaches out there that might be approaching companies and trying to get the interest and the bumping up against the well, yeah, sounds great, but we don’t have the budget for that kind of thing. Any suggestions or ideas that they might try in that situation? Steve: Well, you’ve probably hit upon the most challenging aspect of getting a wellness program integrated into an employer organization because it is a cost issue for many executives and when it comes down to it, it’s all about return on investment and it’s all about the ability of the coaches to be able to demonstrate to the employer that they can truly make a difference in a lot of different ways. Both hard dollar and soft dollars. And when it comes to creating an environment where people are healthier, for a number of reasons, but I think at the end of the day there has to be some mechanism to be able to demonstrate hard dollar ROI savings, that at least pay for the coaching or at least pay for the program if not more, and that gets people’s attention and it’s easy to do because it works and it’s effective and done right. You can work with insurance companies to create a baseline of wellness or baseline of several different metrics of gauges and measures of your employee population’s health and then measure over time. But it does take a leap of faith on the executives part and it requires some effort on the coach’s part to actually make things happen because it has to be buy in and it has to be buy in by the executive team and it has to be buy in by the coaches and it has to be buy in by the employees and it’s all kind of a dynamic process that only happens if people are working together for the same goal. Brad: Let’s talk about dimensions of wellness. I know that was an area that you were a big fan of. You helped create some of those concepts. What about integrating the dimensions was interesting to you or valuable to you as an organization and how could a wellness coach support this concept of dimensions of wellness? Steve: Well, actually to me, the dimensions, if you come up with five, six, seven dimensions of wellness, it actually enhances the coach’s ability to move the needle on an employee engagement, satisfaction, wellness, whatever, however you want to measure it because it allows you to focus on things other than just health. I think there’s a misconception out there that employee wellness just focuses on somebody’s physical condition and you know what their cholesterol level is and all that kind of stuff and it’s not that at all. It’s about the employees ability to be productive in society and be a productive member of the employee organization and I think that if you can create five or six dimensions that allow you to measure that, slice and dice a couple different ways, stratify wellness a couple of different ways, then it gives a coach much more flexibility when it comes to goal setting with the employee and dealing with issues that the employee may not want to deal with or may want to deal with but doesn’t know how. Steve: Whole bunch of different things because at the bottom line, not everybody’s a marathon runner and not everybody wants to go out there and work out four times a week and not everybody’s going to do that, but if I can get somebody who really is comfortable in their own physical condition and they really don’t want to mess with that, they really don’t want to deal with that. They’re comfortable with the process have, but they have issues with financial health. They have issues with social health. They have issues with environmental health. They want to become a bigger member of the community when it comes to creating a difference in the environment and whatever. There’s a number of different ways that you can get an employee engaged in his or her wellness that goes far beyond physical wellness and if you can, if you can create that as part of the infrastructure of the wellness program as the employer population, then at that point, not only do you have a much more engaged employee when it comes to things they can get involved in, but it gives the employee much more engagement to the employer by allowing the employee to meet those needs through the employer, which creates loyalty and all those other things and creates a more productive employee and it has lots of the soft dollar effects. It reduces absenteeism, it could resist turnover, as well as if you can get them to touch on physical wellness and at that point then you have some real differences made in the health plan costs as well, so it it adds more tools to the wellness coaches toolbelt. In my view, if you can create dimensions that matter as much as physical wellness but extend far beyond just how many pushups you can do. Brad: Did you find there were certain of those dimensions that caught the employees by surprised that it was part of in quotes, wellness? Steve: Yeah, I think. I think we did. I think as much surprise as appreciation because we had seven and they did include things like financial wellness, some spiritual and emotional wellness, which is kind of tricky when you’re dealing with some secular organizations, but you don’t want to get into preaching a particular faith, but you can certainly talk about spiritual wellness that goes far beyond a particular religion and you can talk about environmental and social things and a lot of employees after they began to understand that they can get equally focused on those things as they could on making sure their cholesterol was in some normal range, that they really began to appreciate the ability of the wellness program to steer them, to help them steer their lives to the point where they wanted to do it. We had people that were able to get themselves out of debt. We had people who found the ability to get involved in social causes that they didn’t even know existed. You know, we had people that were really interested in doing certain things, but they just didn’t have the ability to get off the couch and do it and they just didn’t know where to turn. Steve: And having this coaching capacity to talk people through what it is you really want to make a difference doing, how do you really want to change yourself and those environmental things around you that you can. And let’s talk through that. Let’s set a goal so you know by the end of next month, at the time we talk next you will have made these phone calls, you’ve made these visits, you have gone to see these people, you’ll have accomplished these goals, and then the employee knows that there’s some accountability to somebody who really supports them, that those are the things that move the needle, those are the things that really make a difference in an employee’s life. And again, it just broadened their scope and it created a much more robust feeling of appreciation to the employer for the coach who’s able to get them involved in things that they really are interested in. Brad: So if I’m hearing you right, you’re describing a model that is different than historical wellness model where it’s just for the high risk people. Steve: Yeah, that’s a great point Brad, because you certainly can focus on the people who are morbidly obese or the people that have five or six comorbidities and insurance companies are really good at pointing them out and all you gotta do is walk down the hall and you could probably identify a bunch of them and the bottom line, that’s where the money is. So as a coach you need to come up and make sure you have some strategies to be able to help those people. But that’s 10 percent of the population. What about the other 90 percent of the people that really are interested in making a difference? You can get as much movement in whatever metric you’re measuring out of 90 percent of the people who really don’t need to move the needle much versus a 10 percent who do. And so you gotta be able to capture everybody and you have to be able to make sure, and again you have to separate and I get a little cynical, which you may find hard to believe, but I do, but you know, you have to separate the marketing people who are just focused on, I can lower your health claim costs, I can do X, I can accomplish Y, it doesn’t matter. Steve: Wellness should never be approached as a mechanism to just save money. Wellness has to be approached as a mechanism to create a healthier population amongst whatever employee base you’re working on. And if you carry that kind of vision into an employer, you may have a little more difficult time selling it as an opportunity. But once it’s embedded, then the change it makes in any population is much more robust and much more long lasting. Brad: A great point. I remember seeing a general American Medical Association article, Oh this probably five, six years ago, that said 98.8 percent of the population falls short in one of the five basic areas of wellness. So, yeah, maybe they don’t show up as being your highest risk, but we all need help. We all have areas we can work on. No one’s, well, I guess one point two percent of people are, but outside of that we all have areas we can improve in. Are there, and you touched on this with the dimensions of wellness, but are there other general tools or resources within a broader wellness program you’ve seen be beneficial to complement what’s happening with the coaching? Steve: Yes, yes. I have. There are several different ways and it’s an integrated approach. Wellness coaches have to be interested in helping the employee the way they can help them. But also for the wellness program to be effective, there has to be a robust internal mechanism to keep the wellness program alive, and for the wellness coaches to know what those are and to be able to talk about them, and have enough knowledge of the employer. I know you guys have wellness ambassadors. I know you guys have these couch to 5k programs. I know you guys have these other things going on. Let’s talk about those. I know that the next quarter you have a financial advisor coming in four times to talk about getting out of debt or planning for retirement. So at that point there has to be this integrated approach where the wellness coaches are in contact and communicating with the people running the wellness program so they know what are the things we are doing to support the efforts of the wellness program. Steve: So the wellness coaches are seen as a team member of the program and not somebody on the outside that just calls every so often to talk to somebody. I mean that can be a benefit because having that firewall with employees who share a lot more than they would if they’re talking to somebody in the cubicle next to them, but it also creates the opportunity for them to include some employees that kind of blow off the wellness coaches if they don’t believe that the coaches really know what’s going on. So yeah, that communication is key there. You can’t really have an effect as a wellness program if you don’t have both, but if you have both and are working together, then that’s when the synergy really begins to kick in and people really begin to appreciate it rather than see it as something they have to do. Brad: I love that. It makes a big difference. It’s key. So our audience, the folks listening to this, there’s a range. We have people that are current wellness coaches that are looking for ways to become better at their trade, become more effective to grow their businesses, that kind of thing. We also have people that are thinking about it. They kind of think this sounds kind of cool. Both of those. I’d love to hear what you have to say to both of those folks. So what advice do you have for those who are working with clients who are participating as part of an employee setting? So it’s very different than an independent client that comes to them and says, hey, I want you to be my coach. This is an employer setting. Maybe not everybody really wants to talk to them. Any advice for that group? And then we can come back to the future coaches in a moment. Steve: Yeah, and that’s a good point, Brad, because coaching is hard. It really is hard and to be really good at it takes an awful lot of work and it’s not just something you can get a certificate in or not just something that you can just study for a test and take and become a coach, a good coach, because it just doesn’t work that way. You have to really want to do it. You have to really be invested in helping people because you know, I don’t know what the statistics are, but I bet you 80 percent of the time you run into resistance. You’re gonna run into the employees are doing it because they have to. Steve: They have to because somebody was ragging on them. They have to because they have a department who has to have 100 percent participation, or they’ll get a pizza or some donuts or Krispy kremes or something. But you’re going to run into a lot of resistance. You’re going to run into people that are blowing smoke up your shorts because they know the last time you guys talk, they agreed they’re gonna start walking steps or something like that and they didn’t do it and then they have to lie to you so they’re going to make something up. And so it is hard work. It’s something that you really need to be focused on. But I think it’s really important to never judge your clients, always understand and let them kind of guide where they want to go, what they want to do. Steve: Because at the end of the day, you can’t make them do anything anyway. And so I think one of the things that I have seen, at least in the cycle of coaching that I’ve experienced, and that people have talked to me about, is you could probably measure it on some kind of a scale. Where it starts out with resistance and continues with resistance and over time as the trust builds, the resistance is met with trust and the resistance is met with cooperation. And then you actually get buy in to the point where over the course of a year, or a year and a half or two years, the person that was really resistant at the beginning is very much looking forward to the phone call next. So I can tell you what I did because I know you’re not going to judge me. I know you’re probably the only one in my life that’s not going to rag on me because I ate a bag of potato chips when I should have been walking around the block. Steve: But what you’re going to do is help me understand how I can change to become better next time. And I think that’s really key that they have that understanding that you’re never going to judge them, you’re never going to do that, you’re always going to be focused on what can I do next time to become better. And I don’t have that temperament. I’m afraid that my life as a coach would be pretty short because I don’t deal well with people who blow smoke up my shorts and you have to be very patient, but if you are, if you can develop that skill, if you can create that sense of attachment to people and that sense of connection, boy you can, you can really change people’s lives. And I’ve heard it. I’ve seen it. I’ve experienced it, and it’s impressive and I admire anybody who wants to become a coach and who wants to stick with it because it’s hard work. Brad: Then our future coaches, and you gave some advice there for future coaches, but anything you would say to the person that’s on the fence? Somehow they found this podcast and they’re thinking, yeah, I like healthy stuff. And that’s kind of part of my lifestyle. I have had people tell me I’m a good encourager, maybe I should look into this. Any advice or maybe warnings of things to be aware of in addition to what you just mentioned? Steve: You know, I was just thinking about that I think it would be great if anybody who wants to be a coach would be required to go through coaching as a client because at that point if they can begin to experience what it’s like to be on the employee side of being coached and then you can understand what you’re going to run into and if you can put up with yourself, then you may have a chance because you’re going to try to be a coach just like everybody else does. And so if you can put up with that from the other side, then you have a pretty good shot at being really good, but I think that’s, you know, that may be a good test to go through coaching yourself and see what it feels like. See what you’re going to run into. See if you really have the temperament to deal with people. I don’t know how many coaching calls a good coach takes in a day, but if you take 8 or 10 or 12 or whatever, you’re going to run into that, you know, 6 or 8 or 10 times during the course of a day and if you can feel energized by that kind of interaction then yeah, I think you probably have a pretty good job. Brad: Excellent. Excellent. So let’s make it personal here. You’ve participated in the wellness program. What was your experience with your coach? Any breakthroughs, any discoveries that you had going through this process with your coach specifically? Steve: Yeah. I’m not sure I should admit to all of them, but the one thing that probably bothers me the most is she took really good notes. She had a really good memory and she would say, well, didn’t you say this last night? I said, well, son of a gun. I was hoping you wouldn’t remember that, but at the end of the day she was able to connect in a way that again, capitalized on those things. I was talking about she never judged, but she always said, okay, this is what we agreed on and this is what you did. What are you gonna do next time to move the dial just a little bit going forward or what can we agree on that you’re going to do? And it’s amazing. I mean we all want to please people we respect and we all want to to be probably, I dunno, acknowledged or reinforced by those people that we admire that we have some steam for and the coach ended up being that person. Because there were times when I would do stuff that I knew was good for me, but probably because I knew that the coach going to ask you about it next time. And it works. It does it. Steve: And if you can, if you can establish that with your clients and they know that you care about them and you’re not just trying to check the box then you can change people and pretty soon if you do it enough times, then behaviors become habits. Habits become change and change makes a difference. And at that point then that’s the kind of thing, and it takes time, but it works. And my personal experience was that it did, you know, I, she got me to do stuff that I kept telling myself I was going to do but never did. And that’s really what makes the difference. Brad: That’s powerful. Remember folks, this is the guy that organized the whole wellness program for thousands of people. He was in charge of it. He went to bat for the budget for it. And yet he’s saying to you, I knew what I needed to do, but I wouldn’t do it necessarily. And then my coach took this, whatever it was approach, that worked with him that helped him move forward. So it’s just another great reminder. Wellness is not information that turns into application. That’s where you come in as coaches. So last question, unless we have some random thing come up, any just general guidance you’d give to health and wellness coaches from employer’s perspective in addition to what you’ve shared already? Steve: I don’t know. We kind of covered the spectrum of things going on here, but I kind of followed up on that last thing. I remember one time the CEO came down to my office and said that he wished his coach didn’t have such a good memory either. Guess she’s getting him to do things that he wished he didn’t have to do, but he knows is good for him. And so you know, it’s just is one of those things that everybody is at a certain place in their life. Some people run marathons and some people are sprinters and some people who are couch potatoes and the good coaches, from what I could see, they always accept people for where they are. They never assume they should be somewhere. They just accept them for where they are. Then they just say, okay, how can we move you from 1 to 1A, we’re not talking about 2 yet we’re just talking about 1A. Steve: Then we’ll get the 1B and we’ll take these little baby steps and we’ll just, we’ll just change one little thing at a time. And what we want to do is make sure that you’re at least thinking about it and you know, that’s so key. Because nobody wants to go from sitting on the couch, or binging on Netflix to running a 5k next week. It’s just not gonna happen. But if I can at least get somebody who’s watching, you know, 10 episodes of Dexter on Netflix to just watching five and getting up and walking around the block after that. That’s good. That’s progress. And the coaches that are good, they see tremendous victory in just that. They’re perfectly happy with an employee if doing nothing else, but making a little bit of progress. And I think that that’s really the key element. Steve: I mean, it’s not ever imposing your own personal judgment in somebodies behavior. Just find out what their judgment is of their behavior and see how they can move their needle in a way that is meaningful to them. And then let them focus on that and then reward them with your praise when they do it. And if they don’t, you know, it’s okay. It’s okay. Not everybody is going to change every time, but you just keep, you just keep plugging away and pretty soon you’ll get it. You may have, I don’t know how much a typical client load is for coach, 50 clients or 100 clients or whatever. I don’t know what it might be, but if I have, I’ll say a hundred and I can make a difference in 20, then I would think that would be success. And because you’ve made a difference in 20 lives we wouldn’t otherwise have been made absent your involvement. That’s pretty impressive because those people were going to, you never know what they’re going to do and maybe some of the other of the other 80, they may see what you did for those 20 and they may catch on and it’s a longterm game and you can’t, you just can’t give up. And I admire everybody who is willing to stick that out because it is a game of patience, a game of fortitude. And it takes a lot of detail. You’ve got to take good notes on whatever system you have, you’ve got to make sure you’re doing it right, but it can make a real difference in people’s lives and I’m sold. Brad: So many nuggets in there, folks. You’re gonna want to listen to this one a few times through. Steve, thank you again. Very much appreciated. I think this is going to be another one of folks favorites. Brad: I did want to highlight a couple of items that Steve mentioned because this is a pretty unique episode, getting to hear from an employer of thousands of employees and what he sees as the key aspects of wellness as a whole, but also what we’re doing as wellness coaches. So just a few things that I jotted down as I was listening to it. Again, first thing he mentioned, and again, think of where he’s coming from. He said that the core aspect of any effective wellness program is the coaching. Yeah, the other things matter. He talked about the dimensions of wellness and what a nice tool that can be, but without the coaching, you don’t get the movement that you want. He did remind us that you’ve got to show that you’ve got to demonstrate the ROI, and by the way, we’ve got some tools on our website that may help you with that, but keep that in mind as you’re considering whether this is a route you want to go as a coach. Brad: Second thing he mentioned, he touched on this a couple times as well, is the importance of if you’re going to be coaching and especially if you’re going to be working with clients in an employee setting versus independent coach setting, you probably need to get the sense of what it’s like to be coached. Now, those of you who have been through either the catalyst coaching institute certification or one of the other programs that has led to the ICHWC national exam, you know that’s really a requirement, so you get that. You’re probably nodding your head and going, Yep, done that, check. For those of you who aren’t sure, didn’t know quite what he was talking about with that and what your options might be within a credible certification program, you’re going to be required to get that coaching practice in. So a positive comment by him there, but just to have a note for those who are thinking about it and don’t know where they’re going to get that practice coaching, you’ll get that. Steve: That’ll be part of what you’re going through. And then the last thing I wanted to mention that he brought up and he didn’t say this outright, but it was suggested too kind of beneath the surface, and that is don’t be intimidated as a coach by the person you’re coaching. It’s so easy for that to happen. You look up the name of the person you’re coaching. If you’re working in an employee, employer type setting and you see Chief HR Officer or Chief Operating Officer or the example he gave the CEO, but did you hear what that CEO said? Did you hear what Steve said about his own experience? It made an impact. It helped him move in a positive direction even though he knew what to do. It helped him move in a positive direction. So people are people. We all have areas that we can grow, every single one of us, toward becoming a better version of who we are. Brad: Don’t let that position effect you. So again, thanks for joining us. If you enjoyed the podcast, we’d really appreciate it if you can give us a good rating on itunes and certainly we’d love a review as well. If you’ve had a few of these pulled up recently, please spread the word. There are a lot of podcasts out there. Our goal with this one is very simple. We want to help you as a wellness coach or a future health and wellness coach to be the very best version of that coach that you can possibly be. So we’ll continue to grow. This will continue to add to the episodes and we appreciate you spreading the word. Thanks so much for joining us. We’ll see you next time on the catalyst health and wellness podcast.